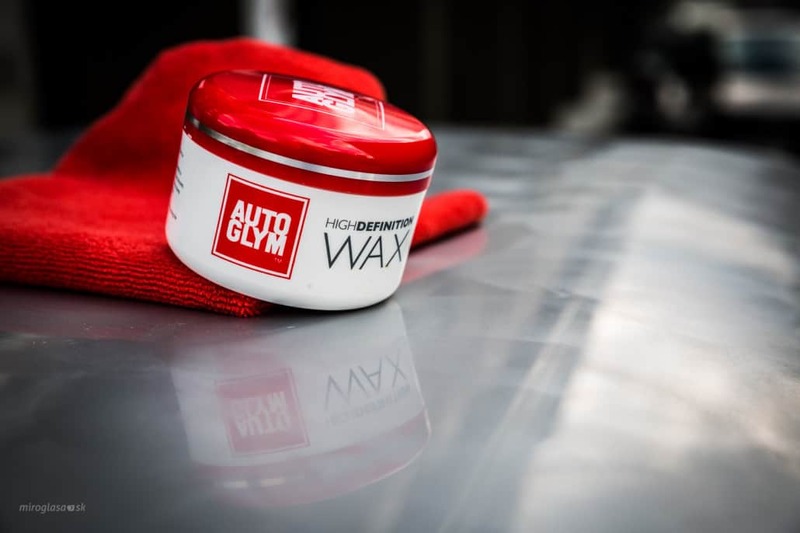 Car waxing before winter or over the course of the year? In the last post we discussed paintwork decontamination. After that (when the paintwork is pristine clean without any dirt or microparticles) it is important to conserve it. The most effective way to do that is to use any of the car waxes available in the market. FYI, we recommend to use carnauba or synthetic wax (sealant). Both types offer the longest and most effective lifespan and protection. Carnauba (Copernicia Cerifera in latin) is a Brazilian tree leaf extract. It is practically insoluble and has the highest melting temperature (around 82-86 C degrees). Right before the the wax application we suggest to remove the grease from the surface using so called pre-wax cleaner. It will remove possible old wax layer and will 100% clean it. The surface cleaned this way will cause the wax to attach better to the paintwork and will increase its lifespan. We recommend to apply the wax in two layers. As requested by some clients, we applied 3 or 4 wax layers for better protection. How should you take care of your waxed car? Absolutely by regular washing by pH-neutral shampoo (and you should forget about aggressive pre-cleaners). A final thought – it is not enough to wax your vehicle only before winter, but over the course of the year. Ideally, 2 or 3 times a year in two layers. During winter it protects the paintwork from ugly weather, aggressive road salt, from springtime to summer from UV rays and aggressive insects and flies. Pay us a visit in KV Detail (behind Hotel Bratislava in Ružinov) and let us advise you about car waxing! https://kvdetail.sk/wp-content/uploads/2014/10/2014_08_15_KV_Detail__AutoGlym_0006.jpg 1067 1600 Andrej Korbel https://kvdetail.sk/wp-content/uploads/2017/12/logo-kv-detail-hand-car-wash-300x138.png Andrej Korbel2014-11-26 22:22:432018-01-22 16:49:21Car waxing before winter or over the course of the year? How often should you wash your car? We are now certified NANOSTERILE application partner.